I’m A Muslim Reformer. Why Am I Being Smeared as an ‘Anti-Muslim Extremist’? Call it “Islamsplaining”: First-world keyboard virtue-signallers have put themselves in the business of issuing fatwas. I am a brown, liberal, reform Muslim. I have survived violent neo-Nazi racism and served as a former War on Terror political prisoner in Egypt, witnessing torture. Yet, in a trip that takes us through the looking glass, the largely white American non-Muslim “progressive” leadership at the pro-civil liberties group Southern Poverty Law Center (SLPC) has just published a “journalist’s field list” naming me as an “anti-Muslim” extremist. 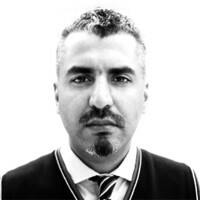 Through the counter-extremism organisation Quilliam that I founded, I have spent eight years defending my Muslim communities in Europe, Pakistan and beyond from the diktats of Islamist theocrats. I have also argued for the liberal reform of Islam today, from within. But, in a naively dangerous form of neo-Orientalism, the SPLC just arrogated to itself the decision over which debates we Muslims may have about reforming our own religion, and which are to be deemed beyond the pale. In a monumental failure of comprehension, the SPLC have conflated my challenge to Islamist theocracy among my fellow Muslims with somehow being “anti-Muslim.” The regressive left is now in the business of issuing fatwas against Muslim reformers. To be forced to defend oneself—again—is an inherently undesirable position to be in. Many have already admirably come to my defense, and more are no doubt forthcoming. But there are certain things that are too important to leave to others. To be able to successfully do what I care deeply about — working toward the emancipation of my Muslim communities from the oppressive yoke of theocrats — it is crucial that reforming liberal Muslims like me are not smeared as “anti-Muslim.” After all, it is in the theocrats’ interests to have us labeled so. It is only they who argue that any internal criticism is but heresy. In a Muslim version of the Inquisition, the punishments meted out by these jihadists to Muslims they accuse of “heresy” are by now so well known that they require no introduction. Another set that benefits from the smear that reforming liberal Muslims are “not Muslim enough” are the often xenophobic, sometimes racist, but always anti-Muslim, bigots. By advocating that every Muslim is a jihadist in waiting, and must be expelled from the West, these bigots suppport the very religious segregation that Islamist theocrats call for. ISIS has called this “eliminating the gray zone.” We reforming liberal Muslims and ex-Muslims who sit between Muslim and anti-Muslim bigots disrupt the narrative of both these extremes. It is no surprise then that as well as being attacked by Islamists, I have been labelled a closet jihadist by people like Glenn Beck on Fox News, and on various other anti-Muslim online platforms. Imagine for a moment how besieged we reformers feel. Anti-Muslim extremists often complain that there are no “moderate Muslims” challenging extremism. Then liberal reform Muslims and ex-Muslims stepped up to this challenge, only to be labelled as “anti-Muslim” extremists by those we had hoped were our allies, and who we now call the regressive-left. They are those who talk of progressive values: feminism, gay rights and free speech, and who criticise Christian fundamentalists within their own communities. A long time ago, we liberal reform Muslims had high hopes for this group. Just as they challenge the conservatives of their own “Bible belt” we thought they would support our challenge against our very own “Qur’an Belt.” How wrong we were. Too many on the left not only abandoned us, but took to openly attacking us for advocating these very same progressive values among our own — extremely socially conservative — communities. Ironically, my life epitomises every one of the grievances the regressive left pays lip service to when refusing to entertain rational conversation around Islam. I have faced violent neo-Nazi racist hammer and machete attacks. I am a jailed survivor of the War-on-Terror torture era in Egypt. Unlike many of these first world keyboard virtue-signallers, I can instinctively identify genuine anti-Muslim bigotry and discrimination. This bigotry must be challenged, alongside the bigotry peddled by Muslim theocrats. But the solution cannot be to stare too long into the abyss, becoming the very Nietzschean or McCarthyite beast we seek to defeat. As well as opposing left-wing UK government ministers who’ve supported ethnic and religious profiling, I have opposed President Obama’s targeted killings and drone strikes. I challenged U.S. Rep. Peter King in the UK Parliament on his obfuscation and justification for torture. I have repeatedly spoken out against extraordinary rendition of terror suspects and against detention without charge of terror suspects. I have supported my political party, the Liberal Democrats, by backing a call to end the UK’s Schedule 7, which deprives terror suspects of the right to silence at our ports of entry and exit, something I have personally been subjected to while having my DNA forcibly taken from me. I have criticized the UK government’s counter extremism plans where I think they are too state heavy, and I have called for their reform where needed. I have spoken out repeatedly against Trump’s populism. I have argued in favor of a motion that Islam is a religion of peace, at an Intelligence Squared debate in New York. And I hosted Morgan Freeman in a New York mosque. I have battled racist callers to my national LBC radio show who advocate mass deportation of ethnic minorities. On that same show, I have defended my fellow Muslims from bigots who think we are all here to “take over”. Anderson Cooper has said that mine is a “voice I urge you to hear.” 60 Minutes correspondent Lesley Stahl considers my story “absorbing” and my work “important”. Kate Allen, UK head of Amnesty International has said my life involves “a passionate advocacy of human rights” and that she “was moved beyond measure.” Former UK Prime Minister David Cameron sought my advice regularly while in office. And against this assault by the Southern Poverty Law Center I have the support and acknowledgement of the UK's only watchdog against anti-Muslim hate run by Muslims themselves, Tell Mama UK. And despite all this, white non-Muslim self-appointed inquisitors at a civil liberties organisation somehow found it acceptable to list me as an “anti-Muslim Extremist”. If despite the above, and the fact that I have memorised half of the Qur’an, what hope is there for an “unknown Mo” who wants to push back against extremism within his community? Such silencing tactics work. I am no “anti-Muslim” extremist. I am not your enemy. What I do require is your patience. For it is due to precisely this concern of mine for universal human rights for Muslims, that I vehemently oppose Islamist extremism and call for liberal reform within our communities, for our communities. For we Muslims are the first victims of Islamists and Muslim fundamentalists. I am no Muslim representative. I am no religious role model (yes, I had a bachelor’s party) but I am Muslim. I am born to Muslim parents in a Muslim family. I have a Muslim son. The “Muslim experience” of liberal, reforming and dissenting Muslim and ex-Muslim voices is every bit as valid, every bit as relevant, and every bit as authentic as anyone else that is touched by this debate. We exist. Allow us to speak. Stop erasing our experiences. Beyond that, just as one does not need to be brown to discuss racism, one does not need to be Muslim to discuss Islam. If there was anything we liberals should have learnt from McCarthyism, it is that compiling lists of our political foes is a malevolent, nefarious, and incredibly dangerous thing to do. And this terrible tactic, of simplifying and reducing our political opponents to a rogue’s gallery of “bad guys,” is not solely the domain of the right. As the political horseshoe theory attributed to Jean-Pierre Faye highlights, if we travel far-left enough, we find the very same sneering, nasty and reckless bullying tactics used by the far-right. Denunciations of traitors, heresy and blasphemy are the last resort of diminutive, insecure power-craving fascists of all stripes. Compiling lists is their modus operandi. In today’s climate of vigilante violence, far-right and Islamist terrorism, being included on such lists can forever change the lives of any one unlucky enough to be deemed from high above as “anti-Muslim.” Unaccountable—but never mind for they are righteous—leftists are conferring upon themselves the power to irrevocably alter people’s lives at the click of a mouse button, at the expense of we who live this struggle. This particular list also makes a major category error, as these white American leftists conflate genuine (according only to my own humble view) anti-Muslim bigots with academic, journalistic and intellectual critics of Islam—including beleaguered ex-Muslim voices like Ayaan Hirsi Ali. Unlike Ayaan, they have never had to suffer the quadruple discriminatory pressure of appearing Muslim, brown, female, and losing one’s faith. I call these the minority within Muslim minorities. And setting aside my disdain for naming any individuals on lists, to include me alongside Pam Geller is patently absurd. Pam Geller furiously opposed the Park51 Manhattan mosque project. I supported it. Pam Geller supported the anti-Islam British protest group EDL. By facilitating the resignation of its founder Tommy Robinson, I helped to render it leaderless until it practically fizzled out. Pam Geller has “expressed skepticism” about the existence of Serbian concentration camps. I have repeatedly referred to the genocide in Bosnia as having been a primary factor in my own anger and radicalisation as a youth. Pam Geller has called for Islam itself to be designated a “political system”, and to lose its constitutional rights as merely a religion. I am a Muslim who set up an organisation that campaigns to maintain a separation between Islam, and the theocratic Islamists who seek to hijack my religion. Need I go on? It’s not as if SPLC’s methodology in naming individuals as “anti-Muslim” has been flawless until now. In October 2014, the Center posted an “Extremist File” that included Presidential nominee Dr. Ben Carson. The SPLC had to later issue an apology. It is for this reason I can proudly say that the only list I have ever been erroneously accused of producing, was a collection of Islamist groups’ names—not individuals I hasten to add—that I disagreed with yet pushed the government not to ban. And they listened. There is no “good way” to compile lists. Jihadist terrorists in Bangladesh also had a list. This appeared in 2013 and named 84 “atheist bloggers”, in other words secular free-thinkers. By the end of 2016 ten of them had been assassinated. Such a fascist tactic had been mirrored by a UK-based ‘anti-fascist’ group, Hope not Hate. In 2013 ‘Hope not Hate’ compiled a similar list that included the Danish author, journalist and Islam-critic Lars Hedegaard. He was later subjected to an assassination attempt, too. No. Nothing good ever comes from compiling lists. And so I say to the Southern Poverty Law Center: You were supposed to stand up for us, not intimidate us. Just imagine how ex-Muslim Islam-critic Ayaan Hirsi Ali must feel to be included in your list of "anti-Muslim" extremists. Her friend Theo Van Gogh was murdered on the streets of Amsterdam in 2004. And back then there was another list pinned to Theo’s corpse with a knife: it too named Ayaan Hirsi Ali.